US prosecutors have filed fresh conspiracy and money laundering charges against actor Lori Loughlin over claims she payed a bribe to secure her two daughters’ placements in an elite university, in the largest college admissions scam uncovered in US history. Full House actor Loughlin and her fashion designer husband Mossimo Giannulli have already been charged with racketeering conspiracy for their alleged role in the scheme, in which parents paid a collective $25 million in bribes to secure their offspring places at universities including Yale, Georgetown and the University of Southern California. The fresh charges, which were applied to Loughlin, Giannulli and 14 other couples on Tuesday, come with a potential jail term of up to 40 years. Loughlin and Giannulli are alleged to have paid $500,000 in bribes to get their two daughters admitted to the University of Southern California as crew recruits, even though neither participated in the sport. 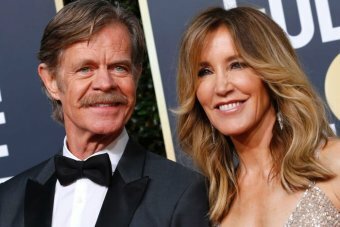 The new charges were announced soon after 14 parents, including Desperate Housewives actor Felicity Huffman, pleaded guilty to taking part in the scam, masterminded by California college admissions consultant William “Rick” Singer. As part of a plea deal, prosecutors agreed to recommend a prison term at the “low end” of the four to 10 months Huffman faces under federal sentencing guidelines. Prosecutors have not yet charged any applicants, and said that in some cases the parents involved took steps to try to prevent their children from realising they were benefiting from fraud. Colleges have begun revoking the admissions and pursuing expulsion of students who obtained their places as a result of the fraud.